The mainstream frontage of the United States is in chaos - but behind the scenes, there is still a great gathering of alternative stalwarts for artistry, creativity, advocacy and humanity. The alt and indie music scenes are as relevant today as they have ever been. 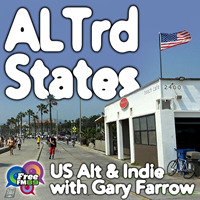 Join Gary Farrow on ALTrd States to hear new tracks and left-of-field classics, originating everywhere from California to New York, pushing for progress.